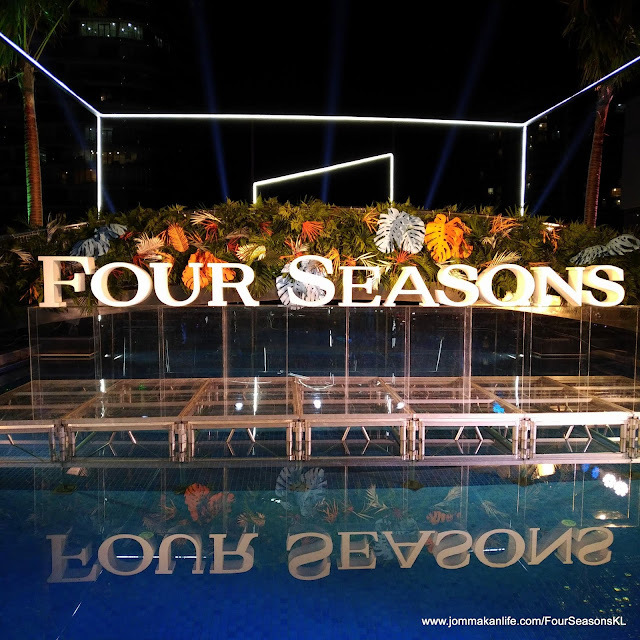 A phalanx of Malaysia’s VVIPs witnessed the grand opening of Four Seasons Hotel Kuala Lumpur on 18 November. Officiated by His Royal Highness Sultan of Selangor, Sultan Sharafuddin Idris Shah Al-Haj in a glittering ceremony at the Grand Ballroom. 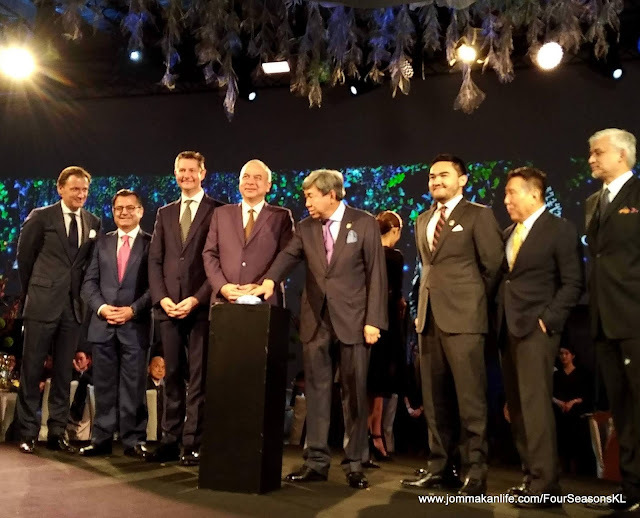 Also present to grace the occasion were guest of honour, the Acting Agong His Royal Highness Sultan Nazrin Muizzuddin Shah. 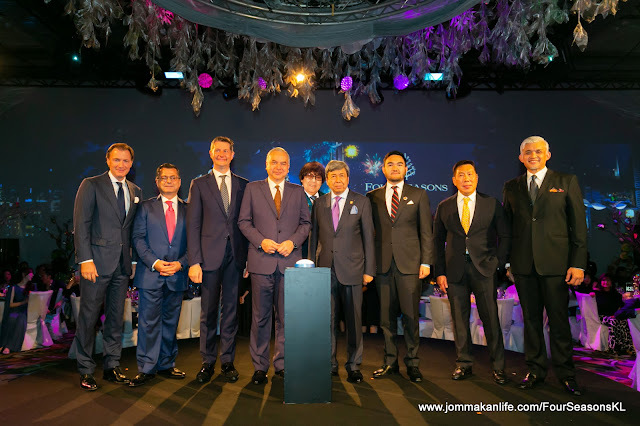 Among the VVIPs who attended the significant occasion were Raja Muda of Selangor, Tengku Amir Shah, Minister of Economic Affairs, YB Dato’ Seri Azmin Ali, Minister of Federal Territories, YB Tuan Khalid Abdul Samad, Menteri Besar of Selangor, YB Tuan Amirudin Shari and Menteri Besar of Kedah, Dato Seri Muhkriz Mahathir. Prior to dinner, invited guests dressed to the nines enjoyed cocktails and canapés at the Residence’s Pool Deck. 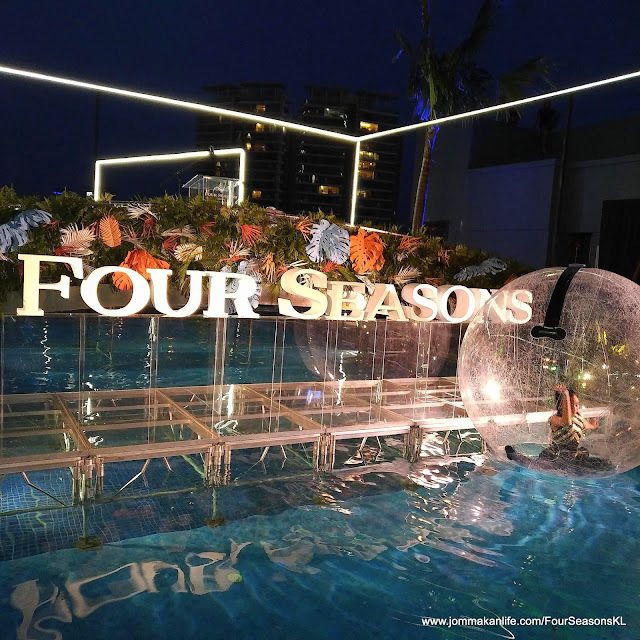 A glass and steel platform atop the swimming pool was decked with the Four Seasons wordmark amidst handcrafted paper foliage. 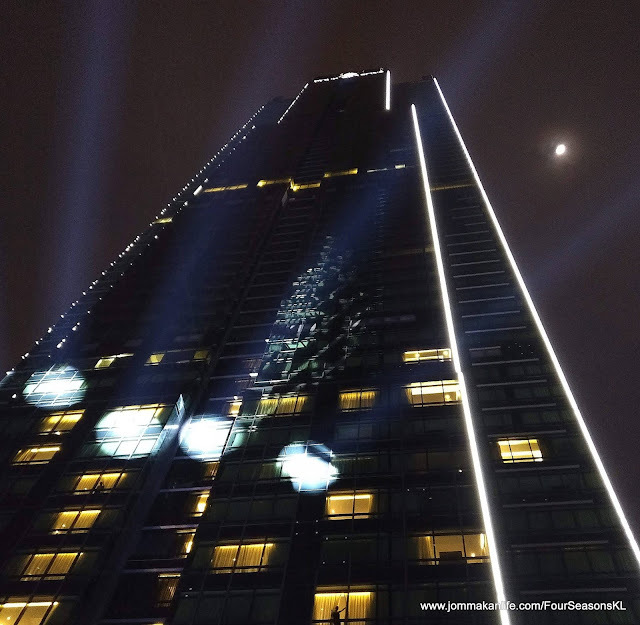 While we watched the pliant agility of a ‘water nymph’ in a huge, floating and transparent ball on water, another performer drew attention with her giant bubble-blowing theatrics. 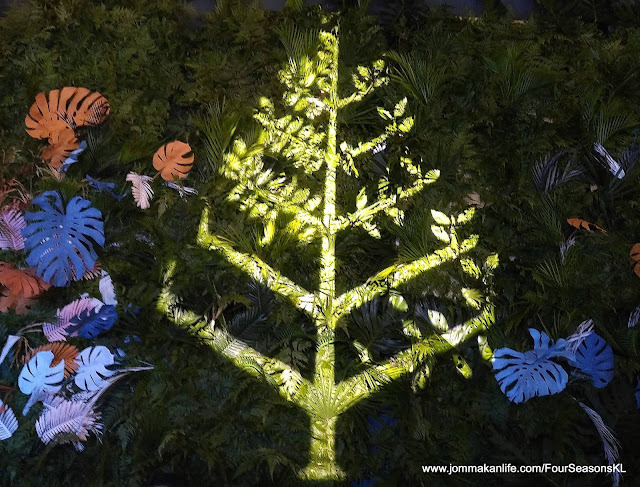 Pre-dinner drinks were served as precursor to a sumptuous sit-down dinner inside the elaborately-decorated Grand Ballroom. 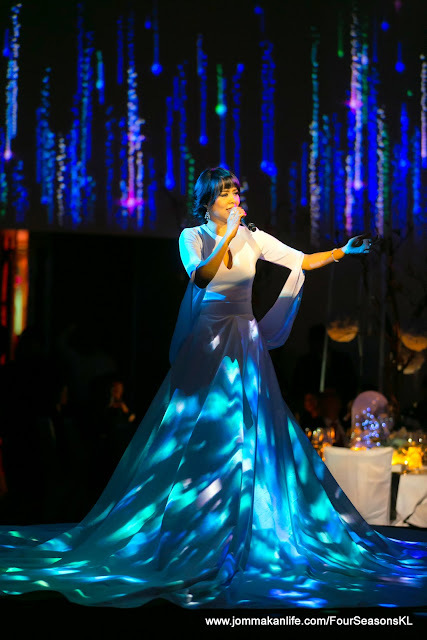 After the opening speech by General Manager of Four Seasons Hotel Kuala Lumpur Tom Roelens and the grand opening ceremony dispensed with, local songstress Syafinaz Selamat serenaded guests with her dynamic performance during dinner. 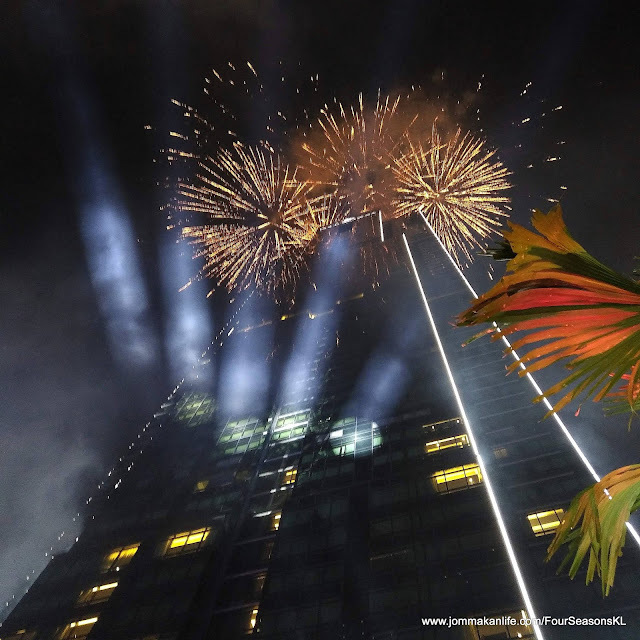 A spectacular fireworks show at the pool deck made it a night to remember, literally heralding the grand opening of the Four Seasons Hotel Kuala Lumpur with a big bang.